A longer cruise at a relaxed pace with more time to get “off the beaten track” and discover the secrets of Halong Bay and Bai Tu Long Bay, visit fishing villages, explore by kayak and experience unforgettable dining. 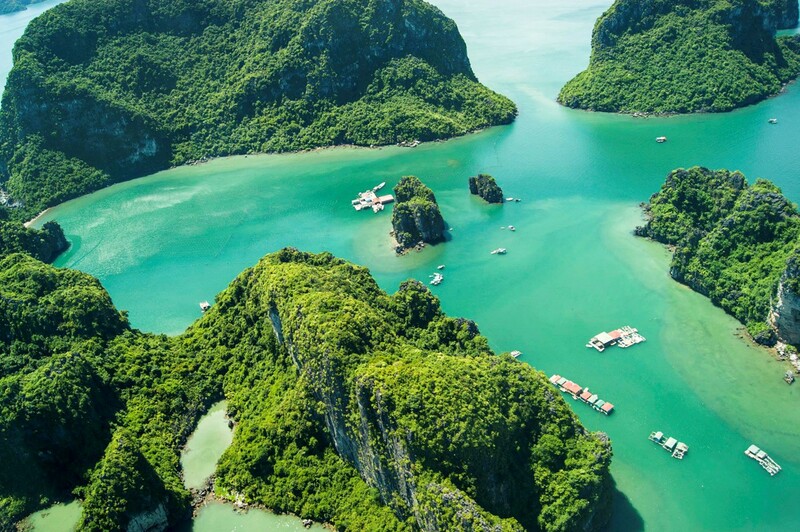 This worthwhile three-day trip on one of our traditional junks offers the highest quality luxury and comfort as you enjoy wonderful Halong Bay. Cruise with us and have a once in a lifetime experience. Our tour guide will pick you up at your hotel in Hanoi and drive you to Ha Long Bay. On the way transfer, you will pass through many rice fields, buffaloes and poetic rivers. You will stop for about 15-minute-rest before arriving at Hon Gai Harbor at around noon time. Reaching Hon Gai Harbor, you will have a short time to enjoy a welcome drink and cruise briefing. On cruisingtime from Bai Tu Long Bay to Cap La, lunch will be served with seafood dishes. Fresh air on bay along with spectacular landscape of limestone cliffs rising on the surface will bring you unforgettable experiences. At Cap La, start your kayaking to explore Cap La and Tra San and you will be closer to this Natural Wonder of the world. After that, you will be back to the junk for swimming or relaxation and dinner. Overnight will be on board. Let start your new day with a cup of coffee or tea in the poetic landscape with fresh air and turquoise water. After that, take a cruise to Cong Dam through towering rock formations. Also, you will have chance to explore hidden lagoons and Cong Dam geological park during kayaking. This outdoor activity will bring more real experiences that you never forget. Arriving at Tra Gioi Beach, you will be free with your own outdoor activities such as sunbathing, relaxing or swimming until BBQ lunch time. In the afternoon, you will embark on a rustic rowing boat to visit Cong Dam Fishing Village, which leaves you nice impressions with peaceful village and friendly locals. From Cong Dam Fishing Village, you will continue your cruise passing through the lagoons and finally cruise back to Cong Do for swimming or kayaking. The breakfast on board and fresh air on the bay will make you feel comfortable to start a new day on Ha Long Tour. 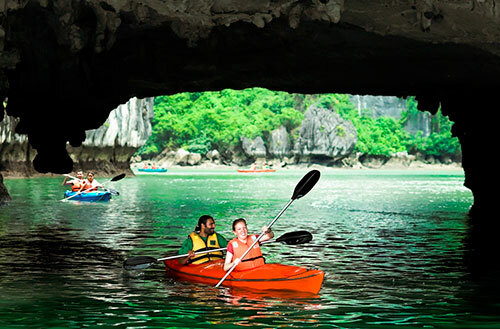 The cruisewill then lead you to Thien Canh Son Cave for sightseeing at one of the most spectacular caves on Ha Long Bay. 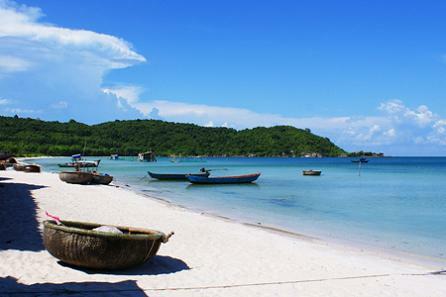 Goodbye Thien Canh Son Cave, you will cruise towards the harbor and have lunch at the same time before docking. Arriving at the dock, our driver will take you back to Hanoi to end this trip at around 16:00.